NAMM 2019: Erica Synths Intros Plasma Drive Distortion Eurorack Module! The rumours are true! 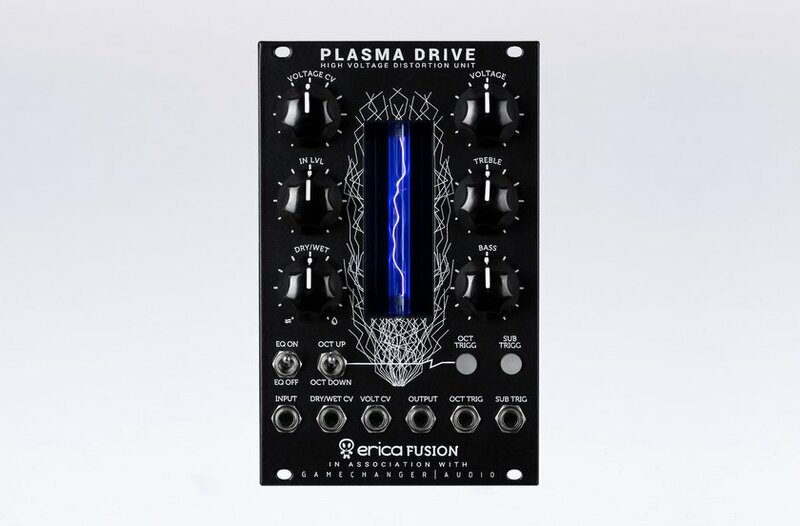 Erica Synths now officially collaborates with Gamechanger Audio and presents for NAMM 2019 the Plasma Drive, a new Eurorack distortion module based on the innovative Plasma pedal. This new release is not comparable with other distortion modules because it use a different approach and technology to create the sounds. Instead of using LED circuits, transistors or vacuum tubes to produce overdrive, the Plasma Drive boosts audio signal to 3000V and transforms it into a series of continuous high-voltage discharges in a xenon-filled tube. The Plasma module is not just a port to the Eurorack world but also a further development that features CV control over distortion level, dry/wet mix and more. With the additional up and 1 & 2 octaves down tracking oscillators, it’s easily possible to add even more harmonics to the signal. 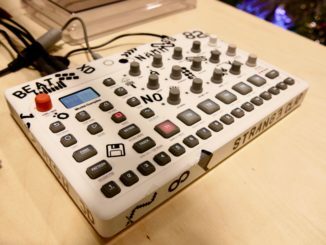 Certainly an exciting new module which also makes your Eurorack system even more an eye-catcher! Gamechanger Audio is a Latvian company committed to exploring the uncharted territories of music electronics and creating devices that provide real value while stretching the imagination of both musicians and engineers. In their Plasma Pedal they managed to combine Tesla coil with a lots of Rock and Roll and the result is one of the worlds heaviest sounds with plenty of unique features and the potential to become the new standard of distortion. Similar as Plasma Pedal, Plasma Drive gives you a new and previously unexplored method of achieving signal clipping in 16HP. Instead of using LED circuits, transistors or vacuum tubes to produce overdrive, the Plasma Drive boosts audio signal to 3000V and transforms it into a series of continuous high-voltage discharges in a xenon-filled tube. In essence – you are playing a lightning bolt of electricity, and the electrical discharges produced by your instrument are instantly converted back into an analogue audio signal, producing a quick, responsive, and extremely heavy distortion with tons of unique character! The Eurorack module Plasma Drive brings sounds of the Plasma Pedal to the next level. As per eurorack standards we added CV control over distortion level and dry/wet mix, as well as octave up and 1 and 2 octaves down tracking oscillators that add even more harmonics to the original signal. Tracking oscillators can be switched on/off manually or via trigger signals. The Plasma Drive module is powered via conventional Eurorack PSU ribbon cable and the power consumption is around 150mA. Panoptigon Is A New Optigan Optical Organ Disc Player! 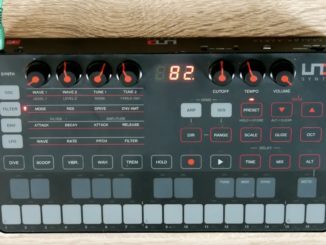 IK Multimedia UNO Synth Review – Playable Analog Synthesis For A Fair Price! 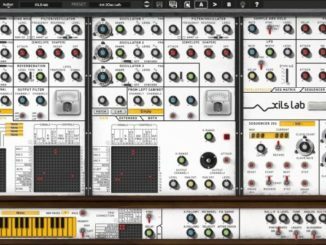 XILS-Lab Updated XILS 4 Synthesizer (Advanced VCS3 Emulation) To V.1.5!